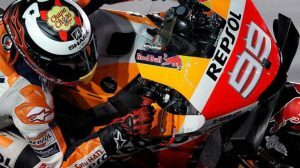 Marc Márquez: “Honda expects Lorenzo to adapt faster than Ducati, I do not care”. 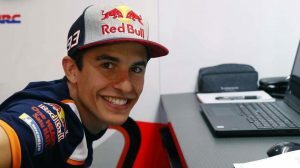 Montmeló.- Marc Márquez decided his future months ago, but the opinion of the youngest-ever champion is one of the most qualified to analyze everything that happens around him, which is not enough: the future of Dani Pedrosa, a key player in the HRC project during the last years, it is still in the air; Jorge Lorenzo will ride next to #93 during the next two years and both will form one of the most successful teams in history. Marc praised the work of Dani Pedrosa #26, who imitated in his beginnings as a pilot of the premier class. “In the end, it was the teammate I learned the most from, because when I got to MotoGP the one who piloted the Honda better was him, so I copied him, this is what I tried to do, I think Honda should be grateful to Dani and Dani must be grateful to Honda, they have formed a binomial of many years, they have not achieved the title for X reasons, but they have done very important things in 125cc as well as in 250cc and in MotoGP. There is always a point where it ends, but the most important thing is that they have finished well, “he recalled. When talking about the arrival of Jorge Lorenzo, the Repsol Honda Team rider was clear: he would understand that Jorge would use his data to accelerate the adaptation to the RC213V because “if you go to another box, first try to copy or guide whoever drives that motorcycle, if does well”. 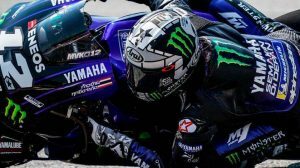 “Jorge is coming from Ducati and he will have to adapt to the Honda style but, to do so, he will look at my telemetry, Cal Crutchlow’s, Dani’s … And he will try to adapt to that, I am aware that Jorge will be a hard teammate, like the one I’ve had so far, Dani did not go slowly, he won a lot of races and sometimes he trace curves that, seeing the telemetry, I thought I was not capable of doing, with Jorge the same thing will happen to me, but we’ll see it’s still far away, “he detailed.